Vampire love story Twilight was released on DVD this past week, and as expected, it sold many a copy! The movie sold more than 3 million copies on the first day of its release! All the mayhem got us in the mood for some vampire fun, so we pulled out our favorite vampire costumes! Check out all of the gory goodies you'll need to recreate a vampire love affair here. The hoopla began Friday night with a series of midnight events. Or rather, the craziness began hours earlier as young fans and their parents lined up at retail stores across the country to be among the first to take home a copy. In Salt Lake City, 2,500 devotees braved lines, while 2,000 attended in Los Angeles and 700 showed up in New York. Several "Twilight" actors made appearances at the events, including Ashley Greene(Alice Cullen), Nikki Reed (Rosalie Hale), Rachelle Lefevre (Victoria) and Edi Gathegi (Laurent). Director Catherine Hardwicke held court in Dallas, even though she will not be helming the next film in the series, "New Moon." Not in attendance, however, were the film's biggest stars, Robert Pattinson and Kristen Stewart. 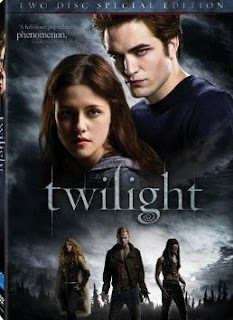 The opening sales make "Twilight" one of the five best-selling DVDs of the last two years, joining blockbusters "The Dark Knight," "Pirates of the Caribbean: At World's End," "Harry Potter and the Order of the Phoenix" and "Transformers."